Hawaii; scale is 5 mm. 01 Jul 2011. J.M. Huisman. © J.M. Huisman. Coral Bay, Western Australia. John Huisman. © John Huisman (j.huisman@murdoch.edu.au). Published in: Unger, F. (1858). Beiträge zur näheren Kenntniss des Leithakalkes, namentlich der vegetabilischen Einschlüsse und der Bildungsgeschichte desselben. Denkschriften der Kaiserlichen Akademie der Wissenschaften [Wein], Mathematisch-naturwissenschaftliche Klasse 14: 13-35, pls IV, V.
Type locality: Persiske hav [= Persian Gulf] [country uncertain]; Bahrain Gulfen [= Gulf of Bahrain] (Woelkerling et al. 2005: 171). Type: Kotschy; no date; no habitat data on type. TRH A20-1272 (Woelkerling et al. 2005: 171). Adey, W.H., Townsend, R.A. & Boykins, W.T. (1982). 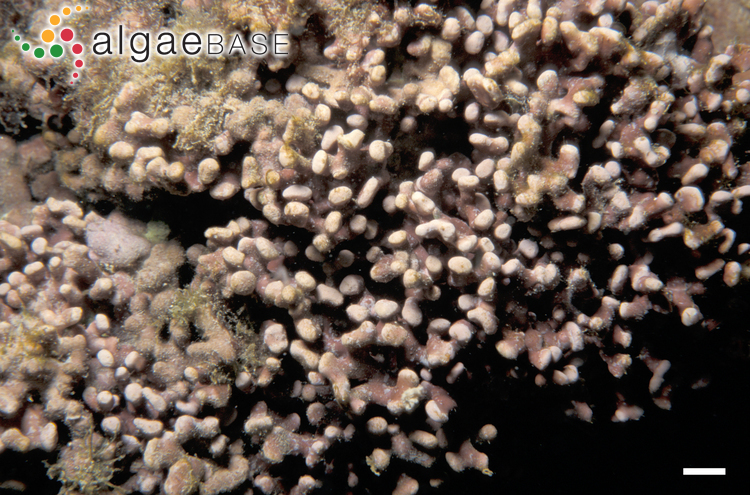 The crustose coralline algae (Rhodophyta: Corallinaceae) of the Hawaiian Islands. 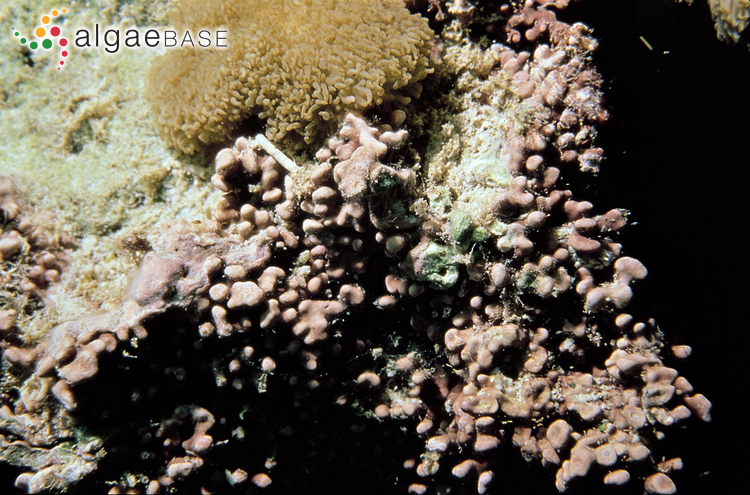 Smithsonian Contributions to the Marine Sciences 15: -iv, -74, 47 figs. 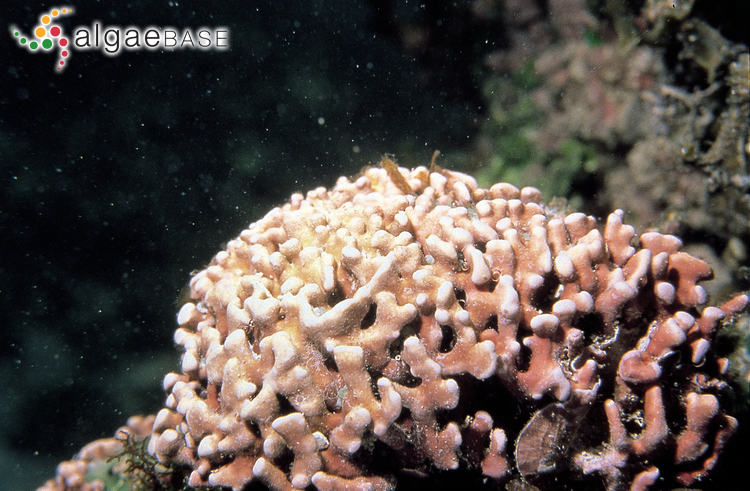 Accesses: This record has been accessed by users 2201 times since it was created. Basso, D., Caragnano, A. & Rodondi, G. (2014). 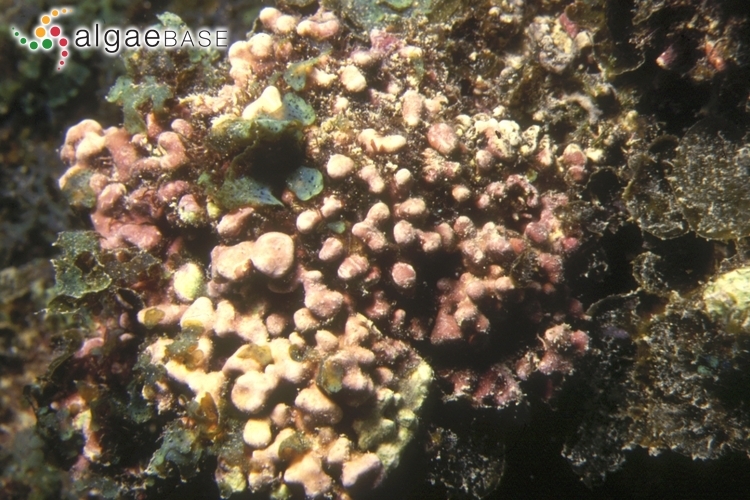 Trichocytes in Lithophyllum kotschyanum and Lithophyllum spp. 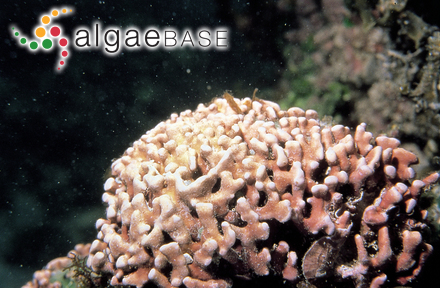 (Corallinales, Rhodophyta) from the NW Indian Ocean. Journal of Phycology 50(4): 711-717.